Clarity came in the ensuing days. Khaleej Times also contacted the Dubai Police call centre to find out how to obtain the certificate and were told that if an expatriate comes to the UAE as a new employee, "he/she will have to get a good conduct certificate from his/her home country before the visa can be issued". "But it's up to the employer if they still want a certificate of good conduct issued by the local police from the employee," the official added. The very rationale of requiring a CGC is to create a safer and more sustainable society. "Making the UAE one of the safest countries in the world is the government's main aim. The new requirement will definitively prevent criminals from entering the country. The state has the right to protect society and its members," Major General Khalil Ibrahim Al Mansouri, assistant commander-in-chief of the Dubai Police for criminal investigation affairs, said. Moreover, it is not just aimed at preventing and reducing crime in the UAE. "The new procedure will also help those involved in financial cases to clear their names and come back or continue to work in the country," Al Mansouri added. It is usually issued by the police or ministry of external affairs in a resident's home country. It then needs to be ratified by the state's mission, as well as the UAE Ministry of Foreign Affairs and International Cooperation. "The new system is dedicated for Filipinos in Dubai who are currently on visit visas. Most importantly, the system also allows Filipinos to have their fingerprinting done in the consulate - a vital step to secure the good conduct certificate. This means Filipinos on visit visas no longer need to go to police stations to get their fingerprints done," according to a recent video message Philippine consul general Paul Raymund Cortes read in Filipino. 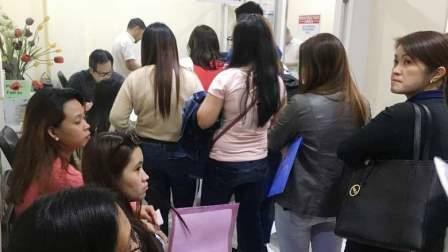 "Due to the thousands of Filipinos in Dubai who currently need the certificate, we have set up an appointment system at the consulate where we can also do the fingerprinting for them," Cortes said. In the Philippines, the CGC is known as the 'NBI Clearance,' a document issued by the National Bureau of Investigation. 2: Attest police clearance certificate from ministry of foreign affairs of Pakistan or from its camp offices in Karachi, Lahore, Peshawar or Quetta.